It is so easy to get carried away with the business of the season and while I don’t forget, I don’t always take the time to place proper emphasis on what we are truly celebrating. The life of Christ. I’ve been reading the book “The Infinite Atonement” by Tad R. Callister, who is currently serving as the General Sunday School President, and it is absolutely wonderful. Elder Callister divided the life of Jesus Christ in three parts, message, ministry and mission. Christ’s message had been taught before his lifetime, and has been taught since his lifetime. 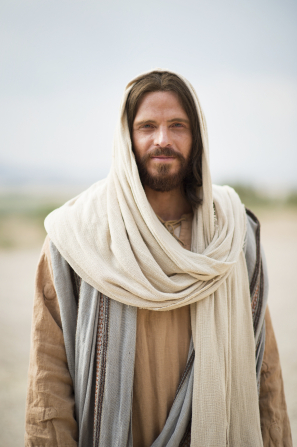 “The Savior’s message was essential to our salvation, but his personal exposition of it was not.” (p. 5) The miracles Christ performed but many prophets performed similar miracles before his birth, and He told us that “greater works than these” (John 14:12) shall be done by the generations after him. However, his mission was specific to him. Others may be able to say what He says, or do what He does, but no one else could ever be who He is. No one else has been born of a virgin. That divinely unique birth gave him the capacity to carry the weight of infinite pains, afflictions, temptations, or any other negative effect we experience while in our mortal life test. He paid the price so we do not have to. He made it possible for us to choose to be saved, but he paid the price regardless of whether we choose to let him help us or not. His truly infinite atonement saves us from Hell and makes it possible for us to return to live with Heavenly Father forever. As I read about how the Savior’s life wasn’t what made him extraordinary, but his mission, I realized how true the same is for me and for each of us. There are plenty of people who can say what I say, even plenty of people who can stick their foot in their mouth just as swiftly as I can. There are countless people who like to run or who can play the piano, and plenty who can do both, just like I can. Other people have held the same callings I have, worked at the same places, eaten the same things, read the same books, and countless other things. But no one else, no one, can be who I am. The only person who can be me, is me! It is easy to look around and feel like with so many people who can do what I do and say what I say that who I am is not important. Nothing could be further from the truth! It doesn’t matter how many people have the same talents I have, if I don’t enhance them I am the one who loses them. It doesn’t matter how many people around me have a strong testimony, if I don’t enhance mine I am the one who loses it. It doesn’t matter how many people around me repent and change, if I don’t do it I am the one who has to suffer the consequences. Our Heavenly Father doesn’t have billions of children en masse, He has billions of individual children. The Savior didn’t redeem us as a group, he redeemed us each individually. The more I learn about the character of the members of the Godhead I see how despite the number, we are each known to him. Because They love us and know who we are individually we each have a specific mission on earth; the importance of which is independent of how common the things we say and do may be. We should not let the things we have in common discourage us from accomplishing our mission that makes us unique. I have not been blessed to discover what my unique mission on earth is yet, obviously I haven’t fully accomplished it or I wouldn’t still be here, but I know that if i continue to heed the call to “come unto Christ” I will be ready and able to accomplish it when the time comes. I can’t wait! I have not been reading for long, but I really appreciate your insights. Thanks so much! Thank you! I am so glad you enjoy the posts!